The “title track,” so to speak, is the hour long master cut that ties all of the major locations and segments into a (somewhat cohesive) story. If you spend 9 days on bluewater boats in the middle of the ocean, off the coast of Guatemala, fishing with the best captains, crews and anglers in the world – it turns out you get a ton of killer Marlin and Sailfish content. Bluewater is a short film about chasing some of the largest and fastest fish in the sea – with a fly rod in hand. With segments featuring Brookies in Michigan, Carp in the Great Lakes and Pike and Smallies in Wisconsin Rivers – this film offers a brief look into a few of the fishing opportunities in the Midwest. We’ve included over a dozen short films – Drake Magazine award winners, instrumental action cuts and other short stories. fishing segments and clips, cut to music. What we would loop at a party or while tying flies. We’ve never really consciously filmed any fly tying instructionals, but low and behold, we ended up with three segments as a result of all the filming. Nothing fancy, just three very gifted tiers showing you one of their favorite patterns. how you can share your stories through pictures and film. After spending a lifetime in Maine, I ventured to Colorado where I now live with my Wife and Chocolate Lab. Filming has become a way of life, and it has taken me to some of the most incredible places on the planet. RA Beattie started Beattie Outdoor Productions (BOP) after graduating from the University of Puget Sound in 2005. A fly fishing guide in the mountains of Colorado throughout high school and college, Beattie has combined his passion for fly fishing and photography to create numerous short films about the fly fishing lifestyle. Over the years, BOP has been fortunate enough to shoot photography on every continent including Antarctica. Our Goal: At Beattie Outdoor Productions is to try and tell a meaningful story; a potent story accompanied by stunning visuals and a shared passionate experience. What we do: Like most anglers, we spend every waking moment thinking about fish, not to mention the sleeping moments, as well as the gaps of time in between. The only difference is that most anglers are solely contemplating how to catch fish. We are thinking about how to catch fish, of course, but we are also consumed with how to subsequently document the process in a beautifully unique and soulful way. camera into the mix allowed for yet another creative outlet and spin within a lifestyle we love. Not only could we fish all the time, but we could sit back and analyze our content at the end of the day. 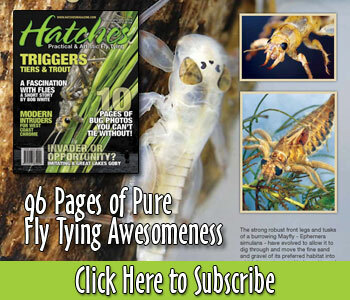 We could watch a trout come up for a dry fly in slow motion over and over – and take note of the subtle nuances of the take that escape the anglers’ eye in real time. Using underwater cameras, we became exposed to a unique perspective into the underwater world. We could study fish in their natural environment, unmolested, unassuming and carefree. Over the years, the act of capturing fish on camera has become as ingrained in our lifestyle as tying flies and building rods an integral part of our fly fishing process. Consequently, as of late, a shift has occurred in our motivation in the beginning it was all about fish. Fish were all consuming. Now, we have noticed the process to be more about people. About the people we have met and encountered, the friends we have made along the way, and the sharing of our ultimate passion in life, and well, at the end of the day, we are all still really obsessed with fish.